Retail spending may have declined in October but Bible sales for one Bible publisher are soaring through the roof. Crossway Books & Bibles has reported that the demand for its new English Standard Version Study Bible is so high that the first 100,000 copies were sold out even before the release date in mid-October. Over 111,000 people have purchased the ESV Study Bible, which its makers say is equivalent to a 20-volume Bible resource. The Bible has gone back for a second printing of 50,000 copies with third printing of 50,000 soon to follow. Justin Taylor, managing editor of the ESV Study Bible, said the strong sales are due to more people looking to the certainty of the Bible as they face uncertain times. "While reports show we are in the midst of the 'weakest spending environment that the U.S. economy has faced in 17 years,' we're seeing tens of thousands who want to invest in tools to better understand the hope and promises of God's Word," explained Taylor. Within the first few days of its release on Oct. 15, the ESV Study Bible was the third most popular Bible product on the online Christian store Parable.com. Westminster Bookstore in Philadelphia, Pa., has also reported record-breaking sales for the new Study Bible. Mark Traphagen, manager of the bookstore's online sales, said the book is "by far the fastest selling new product in the history of our store." Dylan Hillhouse, Bible buyer for Mardel: Christian & Education stores, expects the study Bible to "very key item" for the retail chain this Christmas season. So what's so great about the ESV Study Bible? For starters, the 2,750-page accomplishment is loaded with detailed maps, timelines and articles. It contains over 200 full-color maps based on images captured using NASA satellite technologies, more than 100 articles on a wide range of topics ranging from worship to religious cults, and about 40 detailed illustrations on historic sites and artifacts such as Solomon's Temple and Jerusalem. Those who purchase a hardcopy also receive free access to the online version of the study Bible. But more importantly, the ESV Study Bible was produced by a group of 95 Bible scholars, representing 10 countries, 20 denominations and over 50 seminaries and universities. The Bible scholars labored to include some 20,000 notes that show how evangelical Christianity differs from major world religions. J.I. 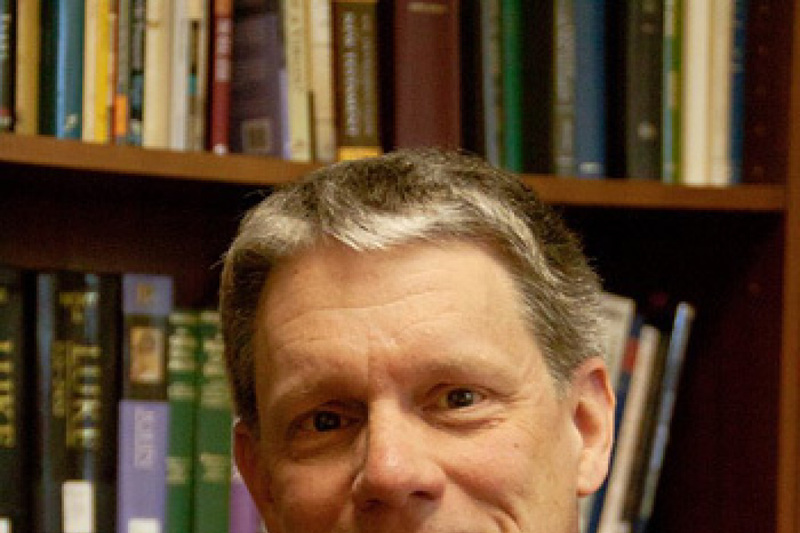 Packer, considered by TIME magazine as among the top 25 influential evangelicals in America, served as the work's theological editor. Packer, an executive editor at Christianity Today and a former professor of theology, said he was enthusiastic about the ESV Study Bible because it takes a larger view of its task than other study Bibles. The ESV Study Bible offers a more in-depth explanation of the text than other study Bibles yet offers a "straight-forward" presentation that maintains a "down-to-earth" language, said Packer. He particularly liked the articles that focused on disciple-making. John Piper, a pastor at Bethlehem Baptist Church in Minneapolis, is also among the book's contributors. He is known for authoring the book Desiring God. Piper, who has long promoted the ESV translation, called the study Bible a "dream come true." The evangelical minister described the scope and theological faithfulness of the study Bible notes as "breathtaking." He also noted the articles' applicability to all ages, including the children and youth ministry in his church. The ESV Study Bible is based on the English Standard Version Bible, first released in 2001. The ESV Bible is the fifth best-selling Bible translation, according to a November report by The Association for Christian Retail. It trails behind New International Version, New King James Version, New Living Translation and King James Version. The ESV Bible is a revision of the 1971 edition of the Revised Standard Version.